An American woman shopping for Paris fashions might have felt overwhelmed by the many small boutiques and fashion houses. Thérèse and Louise Bonney outlined in great detail the procedure and etiquette of visiting couturiers and buying dresses and coats, as well as the separate boutiques for hats, gloves, leather goods, and other accessories. These tips made shopping less intimidating and reassured the American traveler that they could be as knowledgeable, sophisticated and as chic as the French woman. 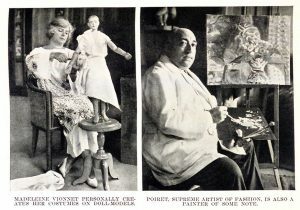 Thérèse Bonney photographs of couturier Madeleine Vionnet and fashion designer and illustrator Paul Poiret. Advice on who the top name fashion houses were, the chapters devoted to fashion and accessories, furnishings for interiors (emphasis on modern), where to eat, buy antiques, and the different department stores were written to help the reader save time and get the best values. There is much more to shopping in the French capital than merely walking in, in American fashion, and making a purchase. Shopping in Paris is an art and must be approached with a certain finesse. 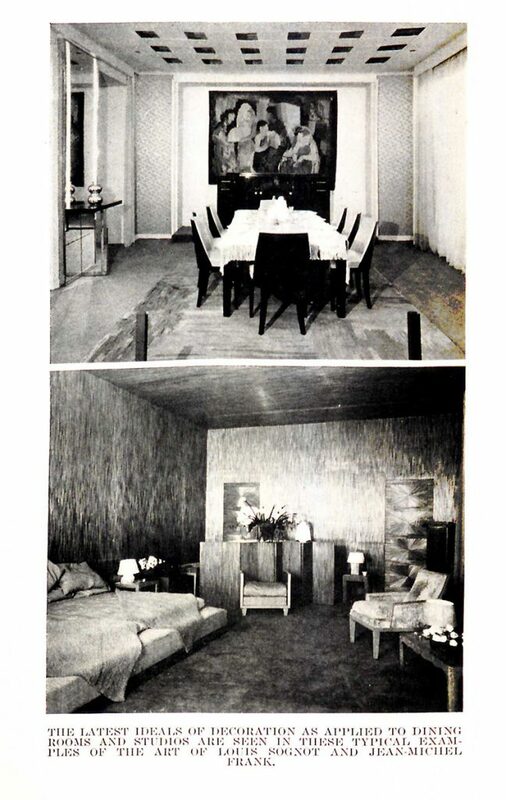 Thérèse Bonney photographs of modern interiors designed by Jean-Michel Frank. The chapter on Modern Decorators is an especially important and a revealing insight into modernity. She photographed a wide variety of subjects- private homes, the interiors and exteriors of many artists and designer’s studios, furniture, textiles, and interiors designed by the most up and coming modern designers. The names of now famous and sought after furniture, textile, jewelers, ceramists and interior designers were people she knew well. Bonney photographed their work, their homes, the interiors and exteriors of clients that these up and coming modern designers and artists created. She also photographed their work in the galleries, salons and department stores that featured the new modern style of art deco. This book is such an important connection to our understanding of the photographic collection; the text demonstrated her intimate knowledge and experience with the subjects she photographed. 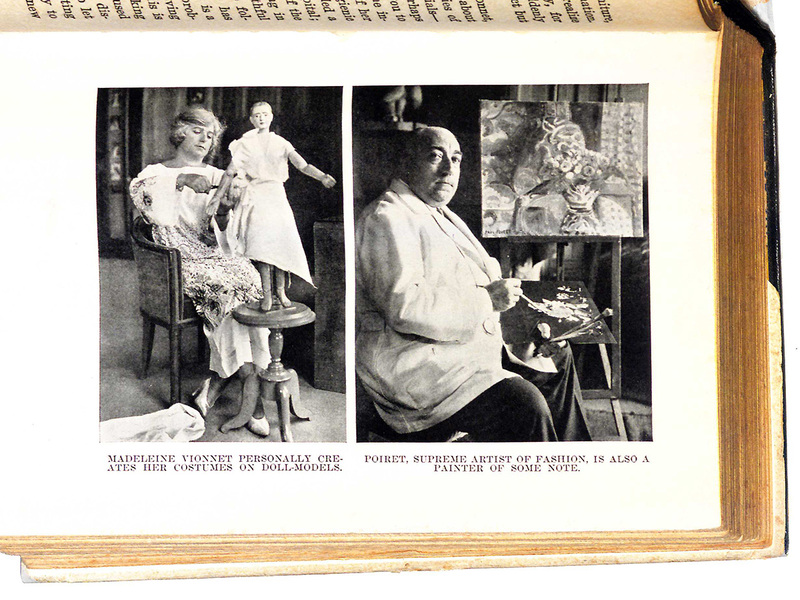 The Bonney sisters’ intimate knowledge of the salons, department stores, designers, and artists of early 20th century Paris provided visitors with the benefits of their experience of shopping in the City of Light. 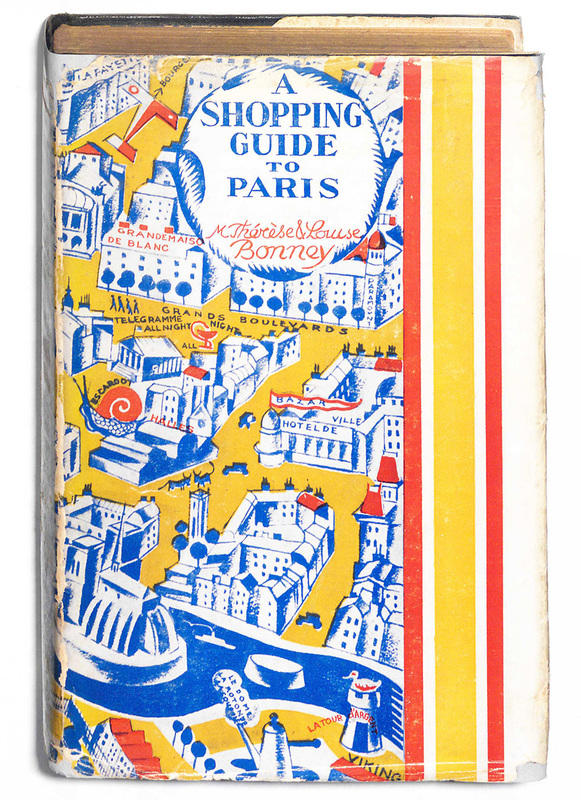 A Shopping Guide to Paris is part of our Adopt-a-Book program and was adopted for Conservation by Susan H. Fuhrman on November 7, 2017. Elizabeth Broman is a reference librarian in the Cooper Hewitt Design Library and has been researching and writing about the Thérèse Bonney photographic archive for many years. 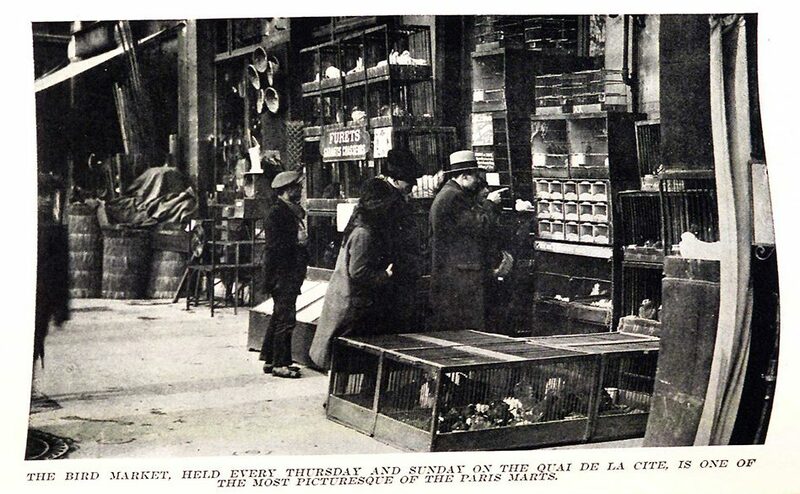 Photograph by Thérèse Bonney of an out door street market selling birds in Paris. This is absolutely fascinating. I wonder how many copies of this book were printed. It would be a fascinating project (or perhaps a tv show) for someone to go to Paris now with a copy of this book and trace the salons, department stores, designers etc featured and document how many have survived the 100 years since this was published and investigate how they have changed. I see only 36 other copies catalogued in WORLDCAT, the international database of combined libraries and institutions around the world. I think I would need a better wardrobe than the one I have now just to walk into some of the couturiers and shops she named to go shopping to Paris – I would be curious to see what is still there and what they’re like. Remember, this was written before WWII, it might be very different than what it was then. I’d be more than happy to go do some research if I had funding for this project. And of course a budget, so they would tke me seriously.